Voters in Colorado want to know how political campaigns, which are hitting up cell phones across the state with last minute pleas for votes, got their numbers. What's with the mass textodus? Political campaigns are hitting up cell phones across the state with last minute pleas for votes. The primary election in June 26, and voters who choose to mail their ballots back should be doing so right now. Election boxes are open until 7 p.m. on June 26, so you can still drop it off until the deadline. Voters have contacted Next wanting to know why they're getting political texts and phone calls despite being on a "Do Not Call" registry. 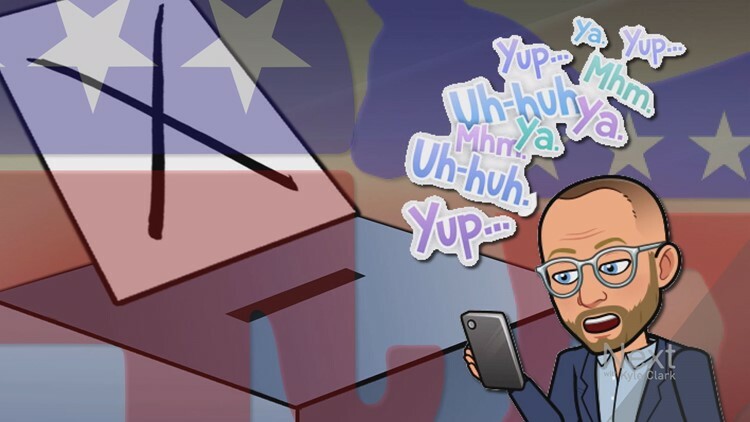 What&#39;s with the mass textodous?&nbsp; Political campaigns are hitting up cell phones belonging to people across Colorado with last minute pleas for votes. The short answer is that most political phone calls and texts are exempt. "'Telephone solicitation' does not include communications: made for the sole purpose of urging support for or opposition to a political candidate or ballot issue." Meaning, politicians are free to call or text for campaign purposes. The Federal Communications Commission is a bit stricter, preventing politicians and campaigns from using an auto-dialer to contact voters, unless you've previously given permission. That is why you're getting text messages from actual cell phone numbers. Campaigns are using volunteers told text you individually. 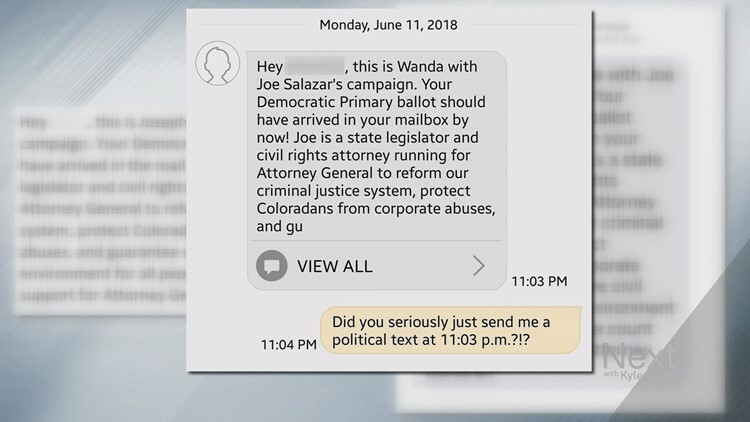 We received three examples from the campaign of Joe Salazar, Democratic candidate for Attorney General. All three texts were identical, except for the name of the voter and the name of the volunteer sending the text. One of the volunteers, Wanda, texted a voter at 11:03 p.m., to which the voter replied, "Did you seriously just send me a political text at 11:03 p.m.?!?" Another voter sent us a text they received from a volunteer with Democratic gubernatorial candidate Mike Johnston. The voter replied with, "Do NOT text this #." The volunteer wrote back, "Got it. Sorry for bugging you! I'll take you off our…"
The screen shot of the text doesn't reveal what the rest of the text says, but even if it says, "I'll take you off our list," that doesn't mean you're off every political list. HOW DID THEY GET MY NUMBER? HOW DO I MAKE IT STOP? 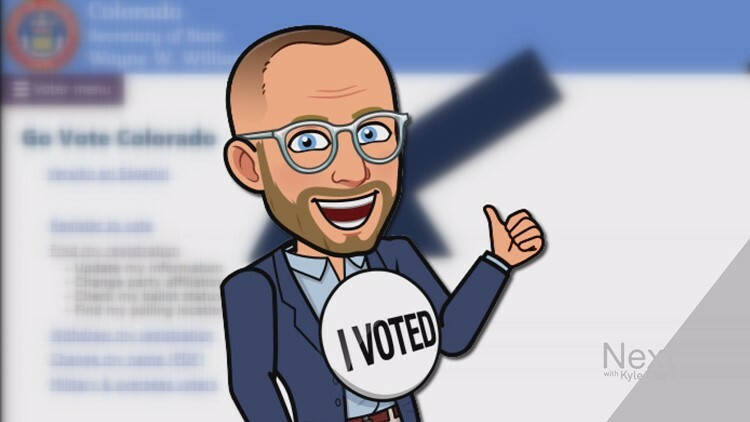 Most likely, politicians and campaigns got your phone number from the voter registration database that they request from the Secretary of State's Office or from the county clerks. If you provided your phone number when you registered to vote, it's out there in a public record. They could also have your number if you provided your number at some point in your life with some other campaign or candidate. If your phone number is on a public record, it's likely a campaign has access to it. If you want to lessen your chances of being contacted, you could go to GoVoteColorado.com and update your voter registration by removing your phone number. That doesn't mean future campaigns won't have access to your number, but it may make it more difficult for them. A more immediate way to reduce your phone calls or texts is to vote. Campaigns often update their voter data daily. If they see that you have turned in your ballot, they're less likely to spend time contacting you.